Duke and UK are really the only guys getting multiple top 15 guys year in and out. Oddly enough after we have had really good classes we haven’t gone anywhere in March. Looking at this list makes me ill.
Why even waste time and money recruiting? Let Self and staff stay home and coach up whomever shows up. Just take whomever Adidas gives us and open an official University of Kansas recruiting website that says we have X number of scholarships available, first come first serve, based on star rank and tryout. This is a mascarade ball. Its all rigged, as the President likes to say. WOW! These lists put Coach Self’s success and winning percentage in a totally different stratosphere. @Crimsonorblue22 not in the top 20? Well, ESPN is far from the authority on this, and they favour Nike kids. It’s not like KU is really struggling, though there were some lean years before 2013. But I mean, when we won the title in 08, the main rotation players were ranked (in their respective classes): #13, #16, #15, #13, #25, #28, #51. 4 out of 7 still playing pro ball. Kaun retired recently. In 2012: #25, #28, #51, #65, #43. All five still playing pro ball. When Self has experience and talent, he wins. Next year, Self will have pro players again, I’d figure good things will happen. Amen. Let’s not put Self on too big of a pedestal here. @Blown Is it me, or every time KU signs a top ranked player they drop and dook’s recruits take the higher spots? We are still in on Romeo. I think we have a slight chance. Especially since Billy is gone. I still say he is waiting on Vick. I know the “experts” failed on Zion, which is my point exactly. They had him to SCaro, Clemson, and even UNC. Why doesn’t he commit to his ‘top’ choices. I’d say our chances with Romeo is greater than Zion. Yea no excuses for Self. He needs to win a title one of these next 3 seasons tbh. It is a complete myth that we have any lack of talent. We have underachieved in March based on our talent. Compared to the rest of the basketball universe, we nearly always have a top 5 roster — meaning if you were to rank the rosters. Folks say this may be Self’s roughest year in a while. But are there five other teams you’d switch rosters with, even in this supposed rough year? All that said, good talent assures you nothing. Self has easily been the best regular season coach. His regular season success and thus higher seeding has created the March underperformance narrative a bit. But talent-wise, two FFs is significantly lacking. ESPN is probably the least accurate of the 3 major recruiting services. It was Rivals for awhile and then I believe most of their top guys moved to 247 which has become the best respected of the 3. Zion is 6-6 and weighs 272 lbs ? I’m going to go out on a limb and predict he blows a knee before ever playing a game at Duke. He has the players, no excuse really. Villanova, Duke, Michigan State, Arizona, North Carolina. I’m not going to debate who has the best or worst recruiting services. I don’t know enough about each one of them to do it. Also, arbitrarily selecting the top 20 is not a good start for attempting to present a sound basis for any argument. And it is not my intent to proclaim Self has a lack of talent on his roster. It would be a fools argument to say the man that has one 13 straight conference championships lacks talent. Over the past 12 years top 20 recruits based on ESPN-UNC-13, Duke-30, Kentucky-33, Kansas-11. 36.25% of all the top 20 recruits, based on ESPN, have gone to one of these four schools. In the last four years, Kansas has averaged 1 top 20 talent per year (pending Romeo still). UNC has averaged .5 top 20 players. Duke has averaged 3.75 top 20 players. Kentucky has averaged 3 per year. From 2009–2014 when Kentucky lost to UConn UK has gone from averaging 3.33 a year to a slight drop to 3 a year after 2014. In that same time period Coach K has gone from averaging 1.83 to 3.75 per year in that same time period. And perhaps, this is just the ebb and flow of recruiting, completely random, and a giant waste of time. And we don’t lack talent, but it is evident based on the numbers from ESPN that Kentucky and Duke are out recruiting the other two blue bloods at an insane pace. I agree. ESPN has an agenda and so do many of its top announcers/analysts so it is difficult to take anything ESPN posts that is not strictly number seriously. @truehawk93 I think with maybe Graham and Embiid they went higher, so it probably goes both ways. @Kcmatt7 I would never force the guy out. I would not be surprised to see him leaving on his own accord at the end of this current contract…that is in 3 years. I don’t think he’ll leave until he gets another title. Thank you for making the issue unmistakably clear. I wonder if you change it to top 50 how that changes the numbers. Anyway, KU could have three top 20 recruits this year if we land Romeo. Of course, Duke has 4 in the top 10, even if I think Tre Jones is overrated, all those wing prospects are immensely talented. I’d like to see the rankings of the recruiting classes over the last 10 years combined? I would assume UK/Duke would be 1 and 2, maybe UNC 3? Texas would be up there? Hopefully KU in the top 5? Too much math. Plus with the way UK cycles through players it looks even better for them when you add it all up. They hardly retain players. KU over the last 10 years: 7, 90 (only took 2 players, one was Royce Woolridge), 22, 11, 2, 9, 13, 16, 37, 4. I used 247. Right now, Silvio isn’t counting in their rankings towards 17 or 18. They moved him to the 17 class but he isn’t rated and has zero stars which skews things and is dumb. With Silvio in the 17 class and properly rated it would be higher. He is contributing +0 to the class but if you add his 18 ranking points it makes the class #9. Of course, Preston isn’t even on the team any more so maybe it evens out, lol. KU never lacks for talent. To say that would be crazy. 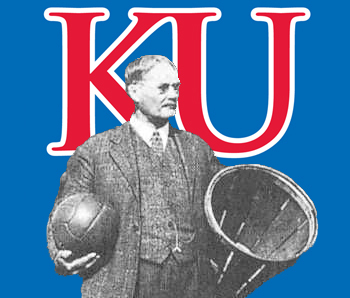 From a pure talent perspective, KU always has a top 10 roster, most times a top 5 roster. The last time KU didn’t have a top 10 roster was probably 1998-99. Even the 2009-10 roster was a top 10 roster from a talent standpoint. It’s just a matter of maximization. This is part of the ceiling/floor argument I made in another thread. If you have a top notch talent roster, and you play for the high floor, you will always have a certain amount of regular season success. It’s guaranteed because over the course of the season, your talent will carry you to more overall wins because the peaks and valleys of your talent will even out at a higher level than most other teams. That’s how you win 13 consecutive conference titles. But come March, the peaks matter more than the valleys. You have to have the highest possible peak in March because there’s less chance for things to even out and win. We are always faced with the “7 out of 10 times, we win that game” problem. The issue is, you don’t get 7 out of 10 in March. You get one. And in one, the peak matters more than the floor. Floor gets you to the Sweet 16 or Elite Eight. Ceiling gets you titles. We have the talent. We just need the ceiling. So everyone help me here. How are class rankings that clear in providing insight into the quality of one’s roster, beyond the obvious Duke/UK? Good guide, of course. It seems like its UK/Duke, and everyone else. And that we’re perhaps the best or second best “everyone else”? Correct me, but ESPN doesn’t count a guy like Svi, nor does it count a guy like DG who was in a prior class, and stayed. Am I wrong there? Yeah ESPN is horrible, 247 has done a much better job of incorporating all that ends up in a particular class. You will see them making adjustments well into the spring and its nice that they do a composite ranking (where they take Rivals, Scout, ESPN & their own ranking). @HighEliteMajor In my opinion there is a clear threshold between who gets talent, and then what they do with that talent. High school rankings can be so hit or miss. But I think even you would admit, and have stated before that the recruiting services generally have the talent filtered out right. I really can’t say how class rankings provide any insight into the quality of a roster. Once the kids get on campus, there are so many intangibles that go into what the team becomes. Even the top rated kid like Andrew Wiggins didn’t have the impact we all felt he should have because of his timidity. And then you have the under ranked kid like Joel who skyrockets in the rankings out of nowhere, steps on campus, and barring the long term injury concerns could end up being one of the greatest centers of all time. Chemistry, leadership, infighting, injuries also affect the quality of the roster once it is in place. So I am looking more on the “left” side of the threshold, so-to-speak. Before the talent gets here. Before the roster develops. Who is getting the “who’s who” in basketball as sold by the recruiting services of the world. The four Blue Bloods are getting almost 40% of the top 20 talent. That is a number that impresses me. Coach K seemingly ramping up his recruiting ability toward the end of his career is very impressive. I might argue that him winning two national championships in the last eight years has something to do with that. He is also probably considered the best coach of all time, by many. Coaching Team USA surely has some affect on who is able to reel in. There is no doubt about it that since Calipari took over Kentucky, he and K are on a level of their own with getting the stated “top talent”. What they do with it in terms of roster and development another side of it. I would be curious to know if these numbers play out the same based on the other recruiting services mentioned. Unfortunately, I don’t have the extra time to gather that info. Yesterday was a long day at a wrestling meet and had plenty down time and randomly chose the ESPN rankings. Just a general indicator. Of course they can’t account for transfers, quality of player development etc… Also the value of a player like Frank Mason that is likely to stay 4 years vs the value of, say, a player like Fox at UK who is sure to only be there one year is highly debatable. Fox being a top 10 recruit, and Mason not even being top 100 except for on 247. ESPN definitely doesn’t rank post grads, and the rating of all international players is for the most part highly suspect. It basically has to be someone like Lauri Markkanen for them to be properly scouted. For international recruits, you really need to look at the schools recruiting them for a good gauge. Yeah 247 is by far the best now. Think this kid is destined for Duke? Watch the video near the end. Coach K, Calipari and Smart all coaching Team USA in some way. It’s had a huge impact on their recruiting. Smart doesn’t land Bamba without it for example. The list goes on. Svi was #31 on 247, Composite #239 (lack of international rankings from other sites). Graham #93, Composite #40. Vick #29, Composite #81. The class rankings give you an idea of the quality of players a team is getting based on play at a much lower level which sometimes does not necessarily projects to the higher level and by no means tells you the quality of the roster. Fo example, Mason and Graham were not highly ranked out of HS and both turned out to be outstanding player with Mason beings selected as the POY las season. Compare those rankings with Alexander, Diallo and even Newman who definitely did not live up to their high rankings. The other big shortcoming of class rankings is that they do not consider transfers. Dedrick would be consider a 5-Star, Moore who was a 4-Star out of HS and with 1 year of actual playing experience and one additional year training at KU would also be a 5-Star and even KJ might be one and all 3 of them will be part of the roster but not counted. I said it before that I would like to see an enhanced ranking where “all the incoming” players are considered and not just the ones out of HS. @JayHawkFanToo That would pretty much be the pre-season AP poll. All hype, all players considered only issue being the inclusion of returning players. However, using that as a measuring stick…rankings early in the season or before the season start are bunk. That includes player rankings for the purpose of projecting team success. It gives you an inkling of an idea, but not what the games tell you. The games tell me KU has very good players and a very good coach as well. The combination of the two has led to much regular season success and some post season success too. To reach a Saban level of dominance Self must get and retain 5 star players for multiple years at all positions. You need a talent edge as well as great coaching in a one game elimination tournament to eliminate the down game early exits. ie If you can win a tournament game on a bad night you should have a much better chance of winning 6 straight than if you have to play well for 6 straight games. I have been typing till my fingers have bled the last 3 seasons and weary warning before that that SELF is not coaching on a level field. D1 needs two new stats: WINS/OAD and WINS/5-STAR. V Everyone else down here. Indexes for talent level and quantity, he is just far and away the BEST coach the last 15 years, the last 10 years, and the last 5 years. Maybe the guy at Gonzaga might score higher, but who else among elite programs playing elite grade schedules? KU’s Current Roster off 247 only. And back to my point even when they do live up to their ranking would you rather have 4 years of Frank Mason or 1 year of De’Aaron Fox? I’m a bit biased but give me Mason. Dedric is better than any post player KU could have added in the 2018 class IMO. I am right there with you. In my case I also have a bias towards students staying 4 years in college and getting a degree in the process. Wow Jerry must not have liked Charlie Moore. For next year Grimes 13, Dotson 19, McCormack 46. Yeah he was #71 composite between all the rankings done nationwide. 247 had him just outside the Top 100. Where is Kentucky ranked this week? Does WSU need to play with more anger? Great Times To Be Alive! Of course I notice Badgers things and UW has one name on the list, Sam Dekker and has the longest sweet 16 streak in the nation, which is going to end this year in all likelihood.